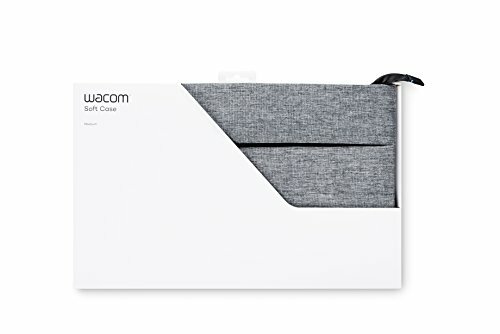 The Wacom Soft Case medium is padded and made from durable, water-resistant nylon to keep your Intuos Pro, Cintiq Pro or MobileStudio Pro and accessories protected. It's minimalist design is well thought out with compartments for organizing your pens and cables, as well as, genuine leather accents at the zipper pull and zipper end for added style. It is also roomy enough to carry your laptop and/or keyboard!.